I am the creative type! 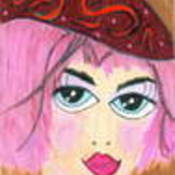 I love to draw and paint aceo's they are so much fun to do. I especially love photography, it brings me so much joy to capture something forever. I am the leader of a wonderful Artist group The Dawg Team- Designing Women Artist Group, we love to paint and create, think you might like to join us the website is below, come check us out, what a wonderful group of women! Just like my family! papermoondelights doesn't have any items in their booth! Lisa is a very, very sweet person and talented artist. I love her work. A great artist and an very nice, positive person! A very talented artist and dependable shop keeper, you must have some of her work! Beautiful work! I don’t know which is my favorite! Proud owner of many of this artist works. You will be too! Lisa does very pretty art work. I have a piece of her art. Lisa is a fantastic poet & artist! I have been in her art group for a few years now and she is a wonderful person & friend! Highly motivated, dependable, & beautiful person inside & out! I have known Lisa from other venues for about two years. She is a wonderful artist and so giving of her time in sharing, not only her talent, but her faith and has such an upbeat spirit. I am so happy she has made her home here. Lisa is a very talented artist and poet. I have several pieces of her art and love all of them.